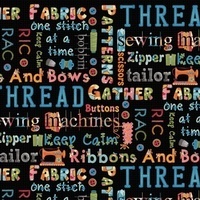 Get inspired by Sewing Chalk Words fabric. 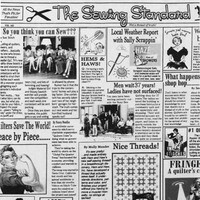 Designed by Gail Cadden, this collage of sewing quotes features catchy phrases such as, "Measure Twice, Cut Once", and "My Soul is Fed by Needle and Thread". 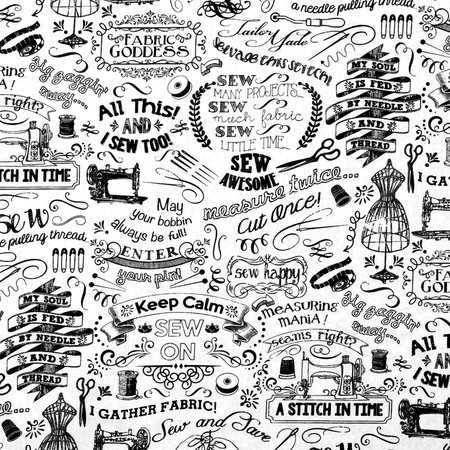 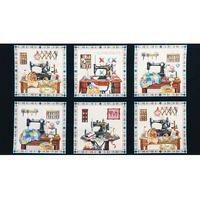 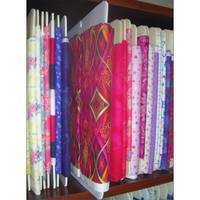 Use this cotton fabric for your next sewing-themed project.